What strategy should Ukraine follow? This report identifies and evaluates three alternatives, all of which are under active consideration today as Ukraine considers what to do after ten years of halting reforms and economic decline. 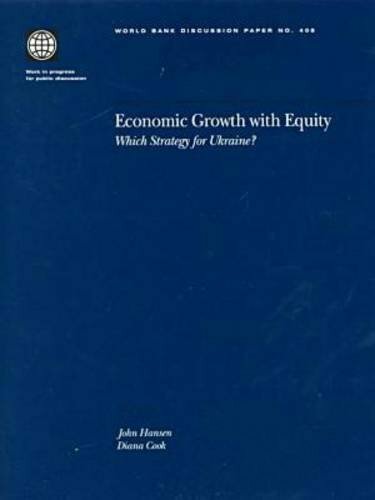 'Economic Growth with Equity' evaluates each strategy in terms of its probable impact on fiscal balances, inflation, the current account deficit, economic growth, employment, and equity. The report makes recommendations on the best strategy to help Ukraine achieve its potential and recover from the present depression.